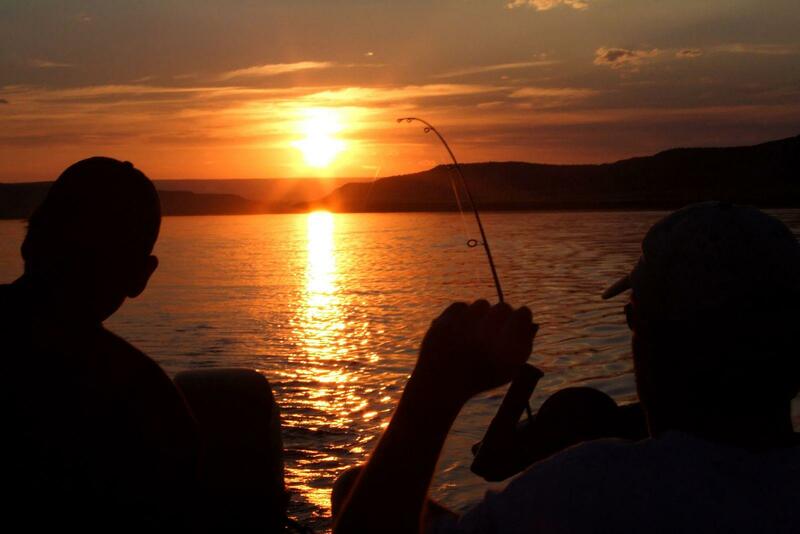 The only way to truly experience the beauty of the Flaming Gorge in its entirety is to do so by boat. The Flaming Gorge stretches 91 miles in length and has the diversity of multiple terrains. Boating from one end of the Reservoir to the other is like passing between two different worlds. The northern end of the Flaming Gorge is high desert terrain, with beautiful rock pentacles, cliffs and long stretching beaches. This northern end has wide bodies of water and vegetation consisting primarily of sagebrush and cactus. The southern end of the Flaming Gorge is a more heavily forested area with predominantly juniper-pinion vegetation. The waterways on the southern end of the Flaming Gorge are winding canyon lands with vibrantly colored sediment and towering rock formations. 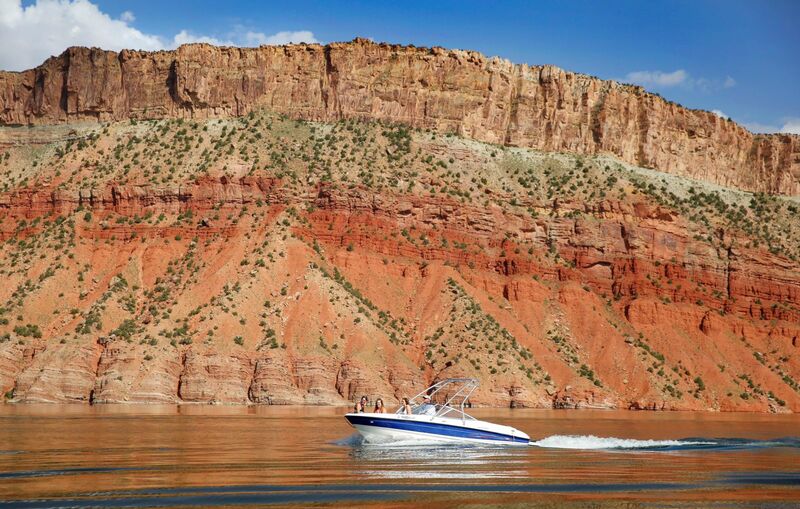 Flaming Gorge is unique in that it offers a variety of recreational opportunities for the boating public. Fishermen, sightseers, campers, and thrill seekers alike choose this location for the perfect vacation. 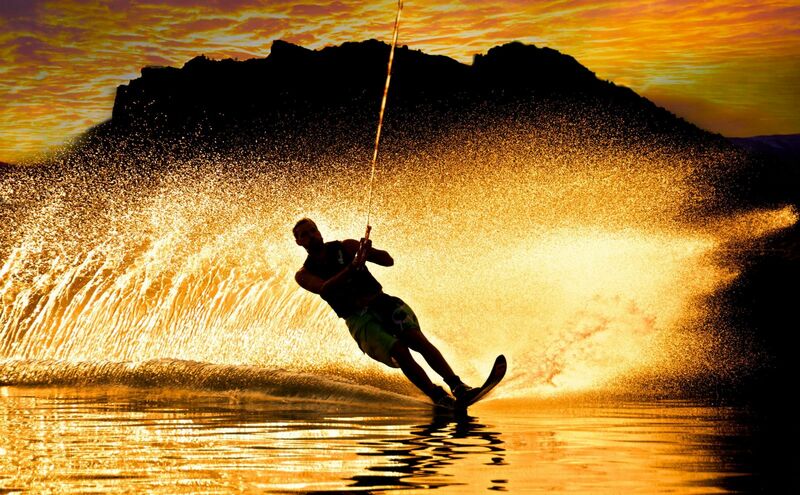 During peak summer season, water temperatures reach a comfortable mid seventies and allow for a variety of water sports. 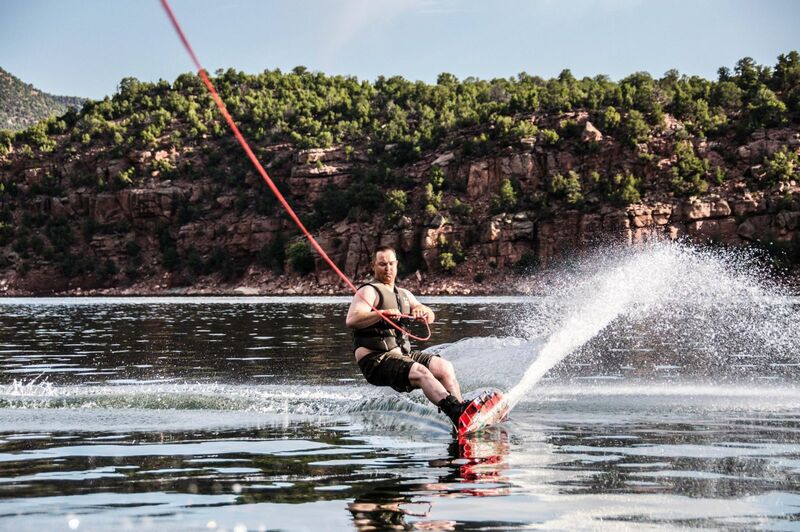 Around any bend in the canyon you can find smooth as glass waters that are ideal for skiing and wakeboarding. 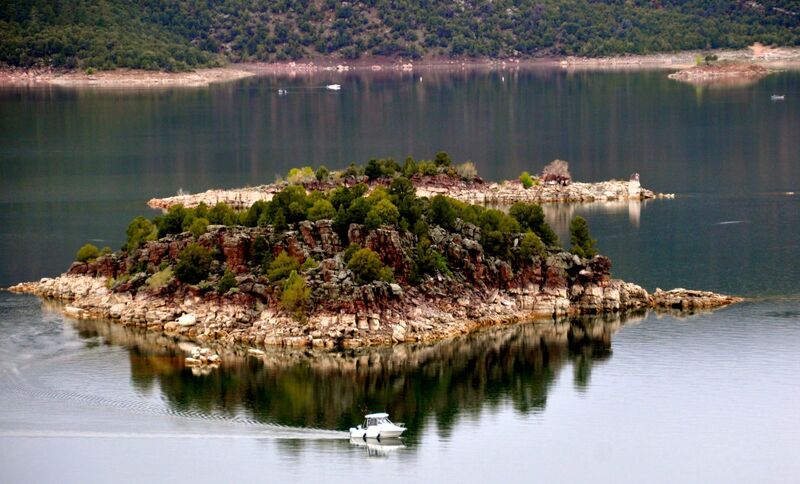 Boat camping on Flaming Gorge can be as social or unsocial of an event as desired. Boat accessible campgrounds allow for camping in areas reachable only by water. These campgrounds afford docking, restroom facilities, picnic tables, and designated fire pits. Endless side canyons stem from the main channels and make for a more quiet and secluded camping experience. If a mellow daytrip of sightseeing is what you seek, make sure to bring plenty of extra film. 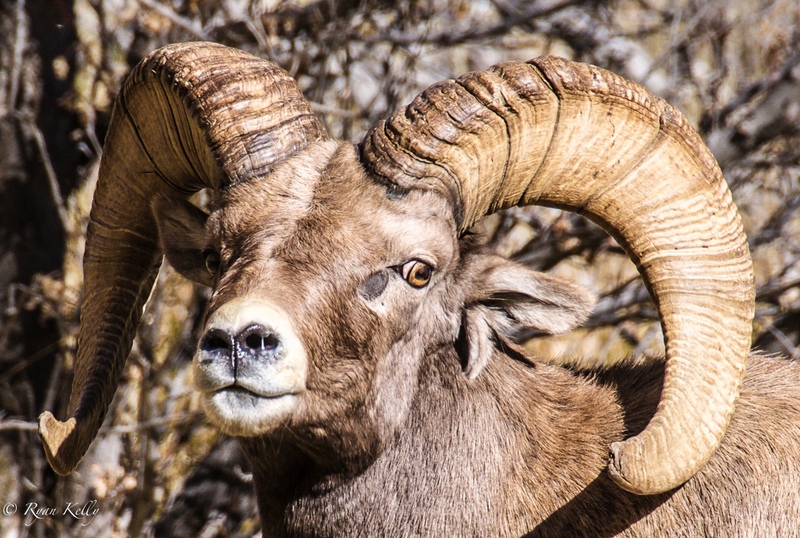 Wildlife viewers stand in awe as the big horn sheep graze the hillsides and scale the steep walls of the canyon, while Osprey hover above in search of good fishing. An abundance of creatures call the Flaming Gorge area home and keep travelers guessing what is around the next bend. If fishing is your bag, this is definitely a place that will keep you coming back time and time again. While shore fishing is a good way to keep the kids entertained for the day, the trophy lake trout fishing does require a boat to access the deeper waters that these big hogs inhabit. Figuring out the good fishing holes can be a bit tricky, however friendly locals are usually happy to share pointers. And if you really want to hone in on the secret spots, book a guided fishing trip and learn the ropes from a pro. Another perk of the Flaming Gorge is the absence of over congestion. 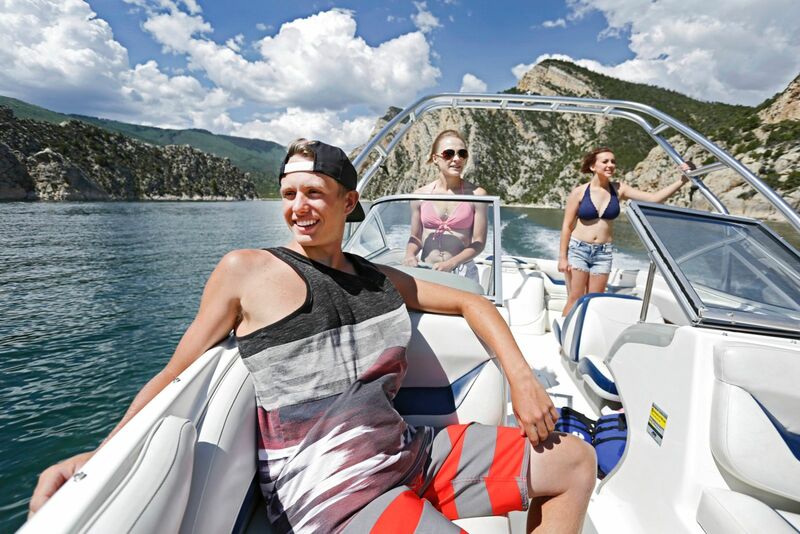 Aside from the big holiday weekends, the Flaming Gorge has a surprisingly low amount of boat traffic in comparison to neighboring lakes such as Powell. This is a pleasant surprise for most of the public who have grown accustomed to fighting the crowds. For more detailed information about the lake while in the area, make sure to check out the visitor centers and marinas in the area. There are three marinas located on Flaming Gorge Reservoir: Cedar Springs Marina, Lucerne Valley Marina, and Buckboard Marina. Cedar Springs is located on the southern most end of the Flaming Gorge, just one mile from the Flaming Gorge Dam. Lucerne Valley Marina is on the UT/WY border and Buckboard is in Wyoming. All three full service marinas provide gas sales, pump-out facilities, daily boat rentals, guided fishing trips, and lake tours. Cedar Springs and Lucerne Marinas both have boat accessible restaurants open during the summer season that offer the public an easy meal on the go. Thank you for visiting http://www.flaminggorgecountry.com/Boating! Be sure and revisit flaminggorgecountry.com frequently for content updates and more.